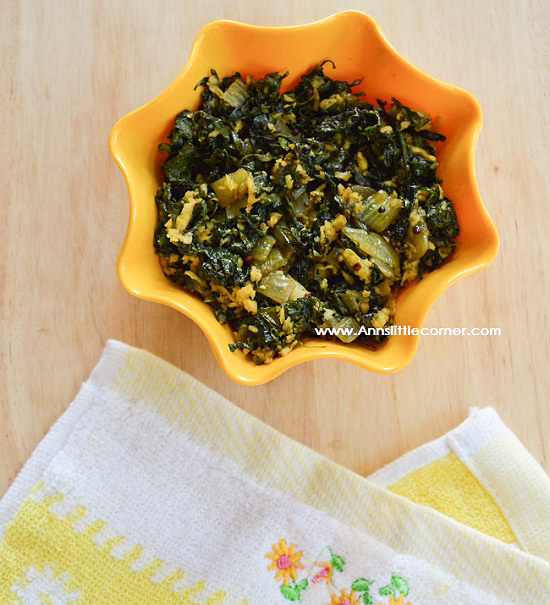 Karisalankanni Keerai Poriyal / Bhringraj Stir Fry is one of the tastiest stir fry recipes with greens. The tender leaves tastes so delicious. Bhringraj is said to promote hair growth. Why not include it into regular meals to reap its health benefits. I have these greens always in my backyard handy. 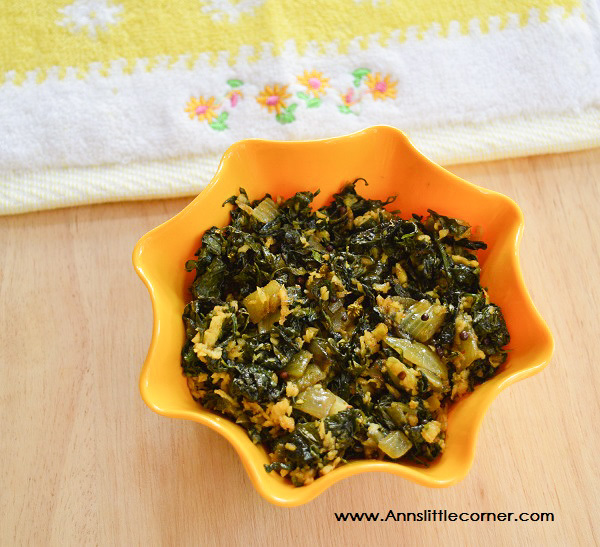 It is not regularly available in markets so had to make use of homegrown greens. 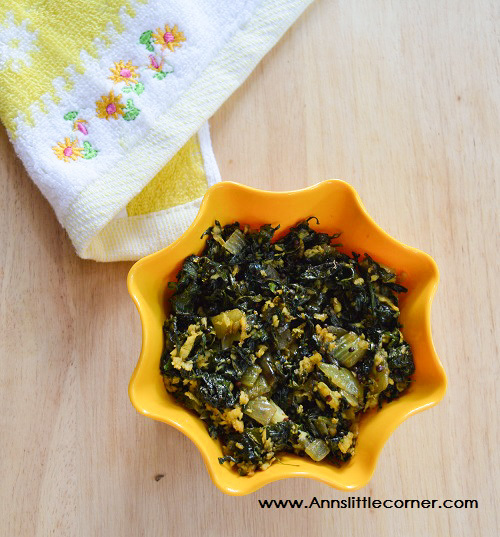 Arai Keerai Poriyal and Murungai Keerai Poriyal are other stir fry recipes with greens available in this space. Remove the green leaves from the stem. Place them in water for 10 minutes. Wash them well. Add in green leaves and saute them. Add in Turmeric Powder and salt and saute them. Add in grated coconut and saute them. Do not use the stem portion as they are hard and do not cook soft. Sprinkle water while sauting the greens if they are too dry. Remove the fresh green leaves from their stem and soak them in water for 10 minutes. Wash them well and set aside. Heat oil in a wok. Add in mustard and allow to splutter. Add in onion and saute them glossy. Add in green leaves and turmeric powder and saute them until cooked. Sprinkle few drops of water if the mixture is too dry. Cook until the greens are cooked well. Add in grated coconut and cook them. Tender and nutritious Greens stir fry is now ready to serve. It’s awesome recipe i will soon try. I hope you will like my site foodtravelindia.com it’s about vegetarian recipes & india tourism.